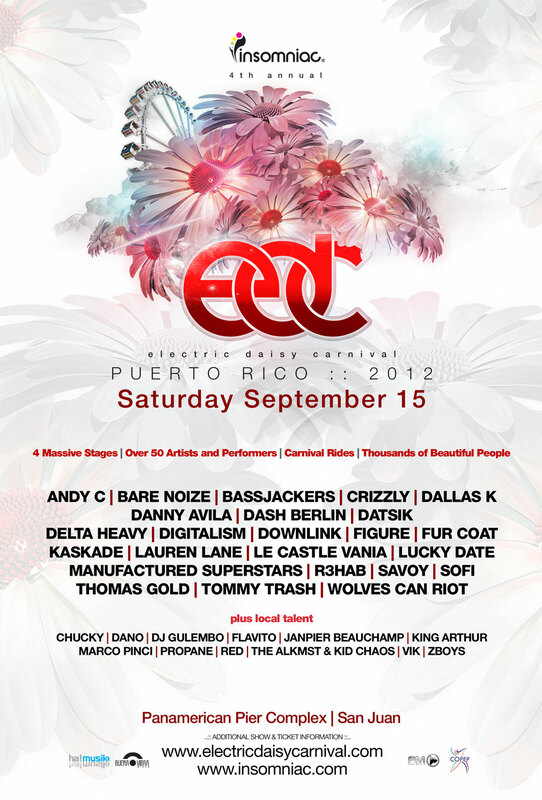 EDC Puerto Rico Master Post .::UPDATED::. Click HERE to download one of the loudest Electro tracks of the summer, Play Loud by Le Castle Vania. Be sure to go to EDC Puerto Rico to see him perform beautiful music live. Brand new hot off the presses, uploaded today by ultrarecords! Enjoy! The Canadian Dj does admit that it is a challenging environment to play music in, as the optical illusions can put you off balance. One really has to put focus of where you are and you’re doing inside the Vortex as Datsik claims it could be a hilarious and trippy health hazard. Either way it’s a great spectacle to play in and watch in the audience. The question remains, will this spectacle of light be featured in Puerto Rico’s Electric Daisy Carnival? Since the Carnival is booked right in the middle of the Firepower Tour and fellow tour member Delta Heavy will be present laying down the filth, who knows what lightshow we will witness in this year’s EDC Puerto Rico! According to EDMsnob the prominent EDM graphic designer Aeriform has revealed that French House pioneers Daft Punk will tour Europe next year. Tour stops allegedly include Oyafestivalen, Primavera Sound, Roskilde Festival, Peace and Love Festival and Glastonbury Festival of Contemporary Performing Arts. This marks the first tour this dynamic duo of dance has played live since the 50th Grammy Awards on February 10th, 2008 with Kanye West. This tour will be the catalyst of their long awaited comeback in the world EDM scene. Also in related news an album artwork for their up and coming release has been leaked on the internet with prominent EDM industry people swearing its 100% real. 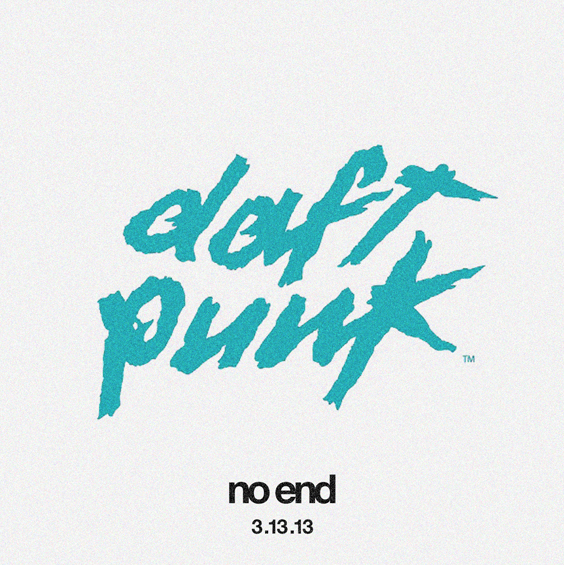 According to the artwork the new album is slated for a March 2013 release. Will 2013 be the year of the Daft? With a rabid, hungry fanbase all around the world, it certainly seems Daft Punk will take over the world next year. It’s no secret that our local talent here in Puerto Rico is full of upcoming and talented producers and DJ’s. Well, that is the case today with EndoAndre, who has remixed Ellie Goulding’s hit Lights right down to perfection. 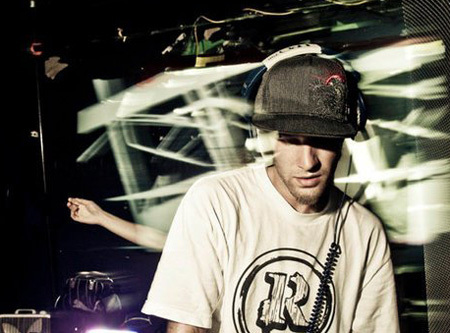 A mellow Dubstep production, the remix hit’s that commercial yet enticing spot in our hearts. EndoAndre doesn’t dwell in subsonic madness, more so he leads the remix with rythmic leads and a melodic bass that stays true to the original song. Bellow you will find a Souncloud sample of the song, where you can also download it for free, and be sure to check out his other projects on his page.